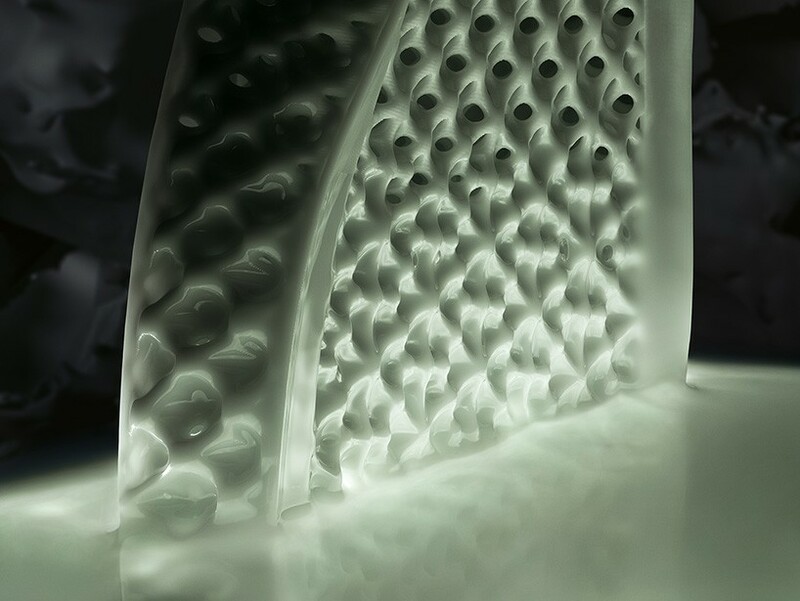 always at the forefront of explorative new production methods, in the creation of their futurecraft 4D sneaker, adidas is now pioneering the use of digital light synthesis—a process which involves shaping programmable resin midsoles with light and oxygen. the sports technology giant has partnered with silicon valley-based tech company CARBON, who work to revolutionize product creation through molecular science. together, the duo are bringing sports manufacturing into a new dimension, that will eventually allow the duo to mould each resin sole perfectly tailored to the needs of every individual wearer. digital light synthesis is a breakthrough process pioneered by CARBON that uses light projection and oxygen-permeable optics to shape liquid resins into high-performance products. 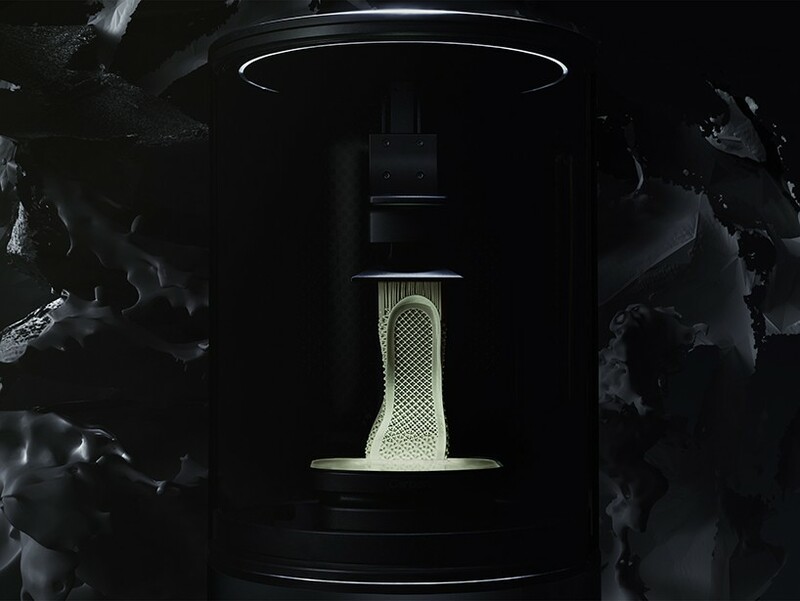 the technology sees adidas’ departure from 3D printing into an industry-first manufacturing process that enables clothing manufacturers to continue to personalize individual products based on the needs of their wearer. unlike any traditional manufacturing technology, digital light synthesis allows adidas to precisely address the needs of each athlete in regards to movement, cushioning, stability, and comfort with one single component. in recent years, adidas have positioned themselves at the forefront of this movement, that sees clothing manufacturers moves away from mass production, and towards using new technologies to creating data-driven garmets tailored to each individual wearer. the brand’s ‘knit for you’ pop-up shop in berlin saw the creation of custom knitted sweaters based on a body scan of each buyer, with a tailored pattern sent to in-store knitting machines allowing the garment to be printed in real time. 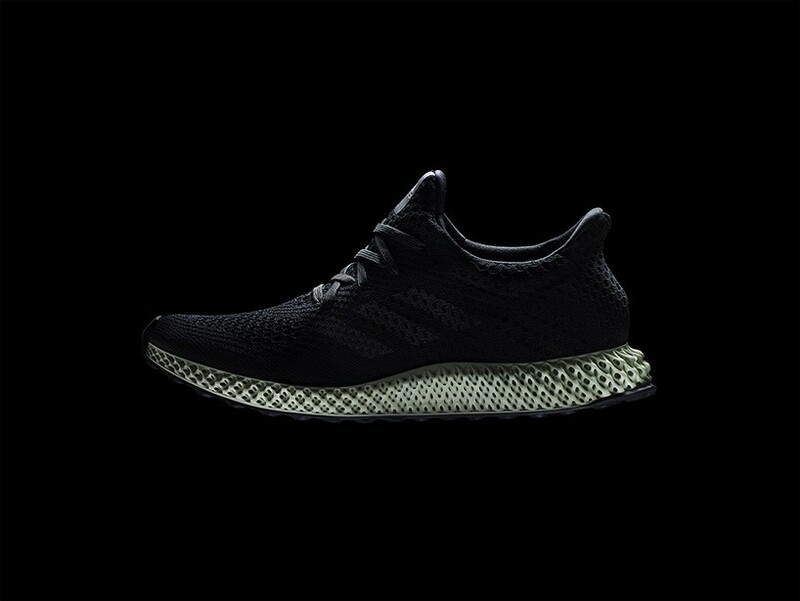 in the future, digital light synthesis will allow the same to be done with sneakers, providing consumers with bespoke performance products tailored to their individual physiological data. 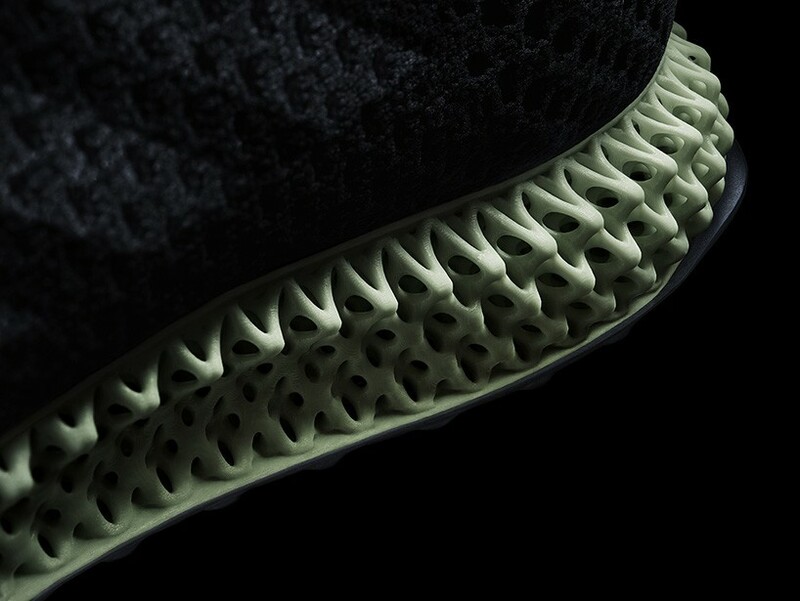 adidas will initially release 300 pairs of the futurecraft 4D sneakers, followed by a further 5000 which wont be individually tailored but based on running data from adidas’ extensive library. the first production highlights the capacity of digital light synthesis to speed up production methods, creating high-performance footwear with speed and scale. the sole of the shoe also incorporates a multilayer structure that would be simply impossible to produce using injection moulding. in the roadmap for the future is the introduction of the production method into the adidas’ speedfactory, eventually allowing for the production of tailored tainers, on demand.